Poster series for Clever Creative, a design agency based in Venice Beach, CA. The Clever crew works on a wide variety of exciting projects, but just like the shoeless children of our favorite idiomatic cobbler, even the coolest agencies can get too caught up in work for clients to design their own internal posters. 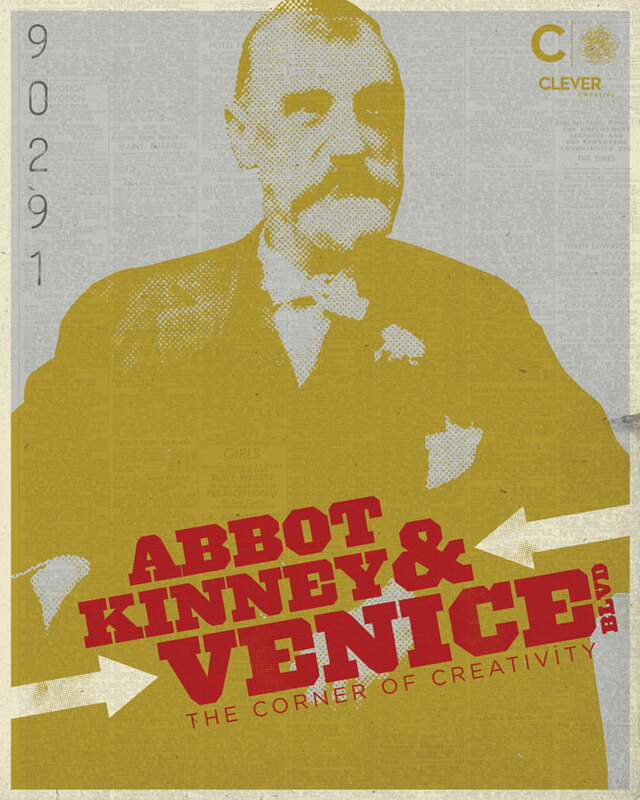 We were thrilled when Clever reached out and asked us to design a series of posters paying homage to their location in Venice at the corner of Abbot Kinney. 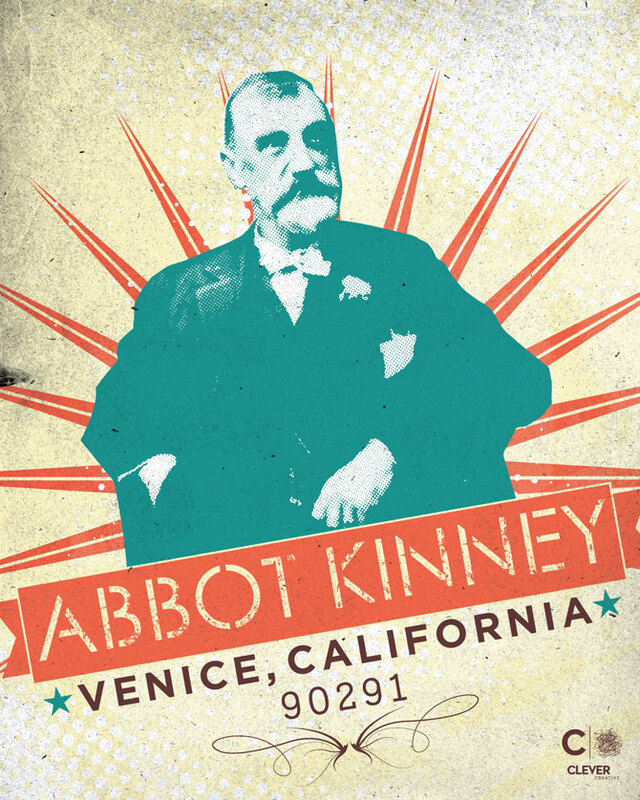 After a lengthy exploration process, we discovered a photo of Mr. Kinney himself in the Venice library’s historical archives and decided any fitting tribute to the Abbot Kinney neighborhood must include its namesake. Each design features a different version of the famed land developer and conservationist, founder of the original Venice of America venture. Handset fonts, layered textures and simple colors contribute to the handmade feel of these posters. 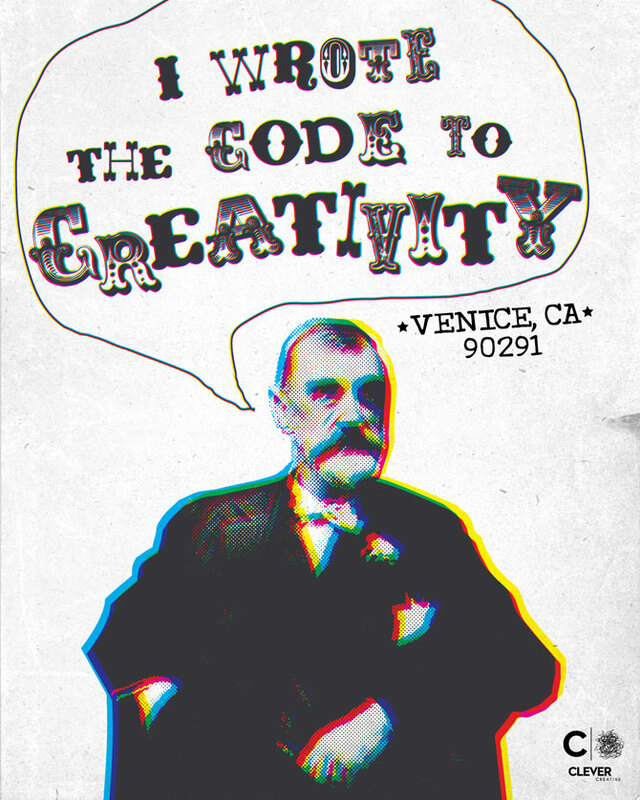 One poster was even designed to be screen printed on old Venice area newspapers. Even though one poster was originally commissioned, Clever Creative liked the additional proposed concepts so much, they ended up buying all four of them. 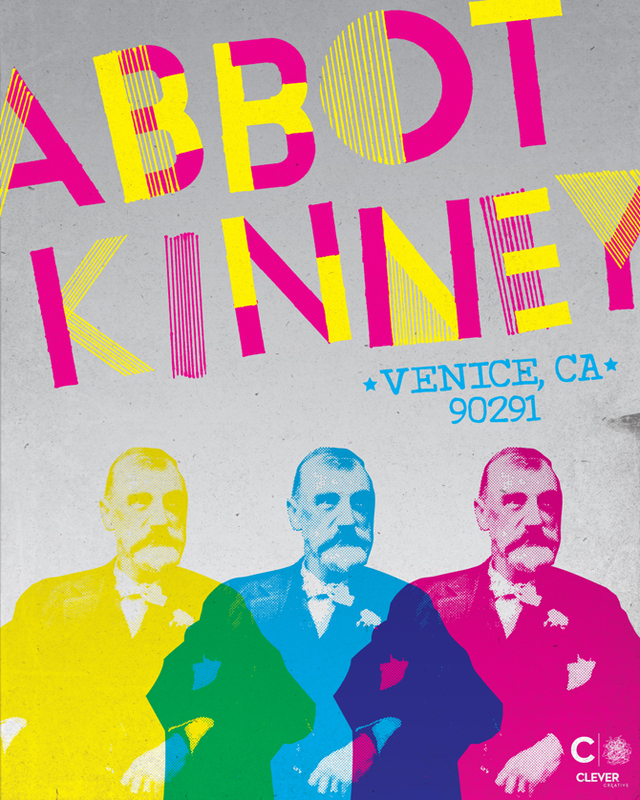 Read more on the ogblog in Case Study: Abbot Kinney Posters.